Pristine Seas Heads to the Mountains! We are headed to Ascension Island, a tiny volcanic island in the South Atlantic, midway between Brazil and Africa. Tristan da Cunha: The world’s most remote inhabited island! In January 2017 the Nat Geo Pristine Seas team will conduct a 5-week scientific expedition to the remote Tristan da Cunha archipelago of the south Atlantic, in partnership with the Tristan da Cunha government and the Royal Society for the Protection of Birds. Clipperton Islands: Beautiful, Powerful Surprise! One of the world’s most remote tropical islands, the only atoll in the tropical eastern Pacific and is home to a highly energetic reef. Including things that bite! From sea to sky, the creatures of Selvagens Islands constantly amaze the team. Climate projections forecast the total disappearance of summer sea ice in the Arctic by 2040, with the exception of one place: the "last ice area," north of Greenland and Ellesmere Island in Nunavut. Seychelles: In Search of Hidden Wonders! The oldest islands in the world, remote atolls untouched by humans, buried treasure, luxury destination, a wild place, and even golf balls made from fish food! Welcome to the Seychelles! Rapa and Marotiri: Here be Monsters! Rapa and Marotiri in French Polynesia are a long way south - the next stop south is Antarctica! Mozambique: Good People / Wild Diving! 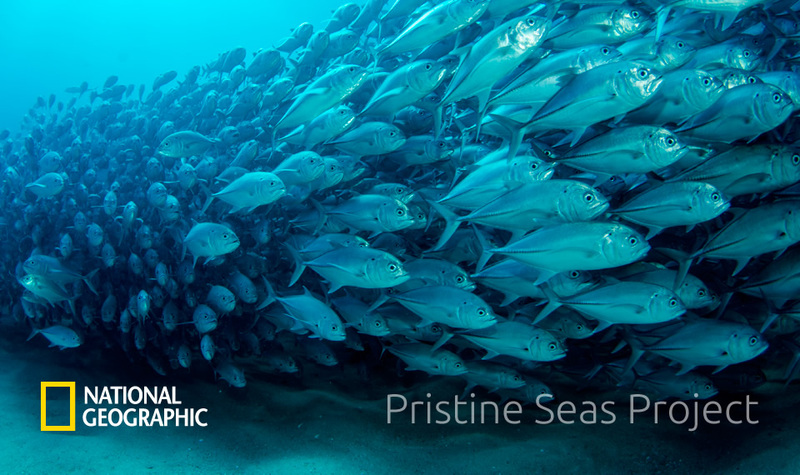 Paul is just back from leading another National Geographic Society, Pristine Seas expedition. His expedition was full of wonderful Mozambicans, bull sharks, manta rays, storms and wild diving. Paul Rose joined National Geographic expedition to explore Franz Josef Land, one of the most remote archipelagos in the world, only 900 km from the North Pole.